Does Freedom Motors have any marine watercraft on the market right now? 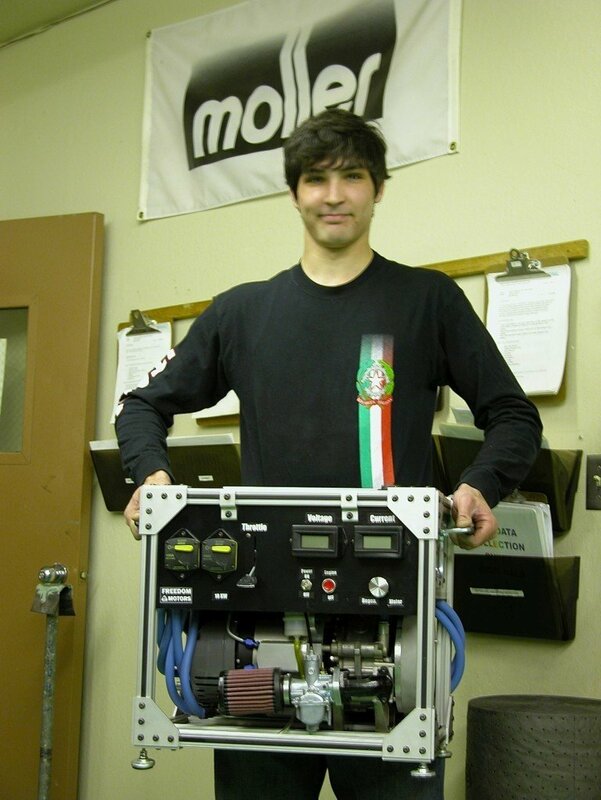 Freedom Motors is strictly an engine manufacturer, and while we have integrated our engine into several watercraft, each project has been done merely to demonstrate the engine's unique characteristics. Can you recommend a jet-drive pump for use with your Rotapower® engine in my boat? As far as providing recommendations for the jet-drive, it is possible to mate to almost any pump. Getting the impeller performance often takes a great deal of patience, but is also something which a boat repair or overhaul facility is accustomed to doing. We do not provide these services at this time. The early Mazda automobiles came with Wankel-style rotary engines, but I heard they burned oil and had poor gas mileage. I also heard there were a lot of problems with the apex seals. How have you improved on these performance issues? The early Mazda engine's oil problems were principally from leakage across the side-seals, allowing oil from the oil-cooled rotor to migrate into the combustion chamber. Once redesigned, this side-seal has been very effective and has not had any significant failures that we are aware of. Also the use of end housings made of cast iron and the center (trochoid) housing of aluminum caused different rates of expansion if the car overheated. Once the engine overheated, the two mating surfaces rarely realign correctly and can be a major cause of oil or water leakage. Since our engine housings are all aluminum, the expansion rate (or the difference between material expansion rates) is not a problem. On apex seals, other than being rather fragile, we are not aware of a major problem with the Mazda's apex seals. What kind of oil do you recommend? Do you require additives to the fuel? We use a synthetic, high-performance two-cycle engine oil, but the main reason is for its use is resistance to breakdown under high heat. Additives are not a major consideration. Why do you list fuel consumption in pounds per horsepower-hour? Isn't miles per gallon a better measure? Fuel consumption is proportionate to the level of horsepower one is trying to provide. Also, if the device is used in a stationary application, mileage is meaningless. That is why we put the fuel consumption rate in pounds per horsepower-hour. What is the fuel efficiency of the Rotapower® engine and how does it compare to the original OMC engine design? Fuel efficiency is much improved over the OMC design. They were getting about .7 lb per HP-HR fuel consumption, where we have seen as low as .47. 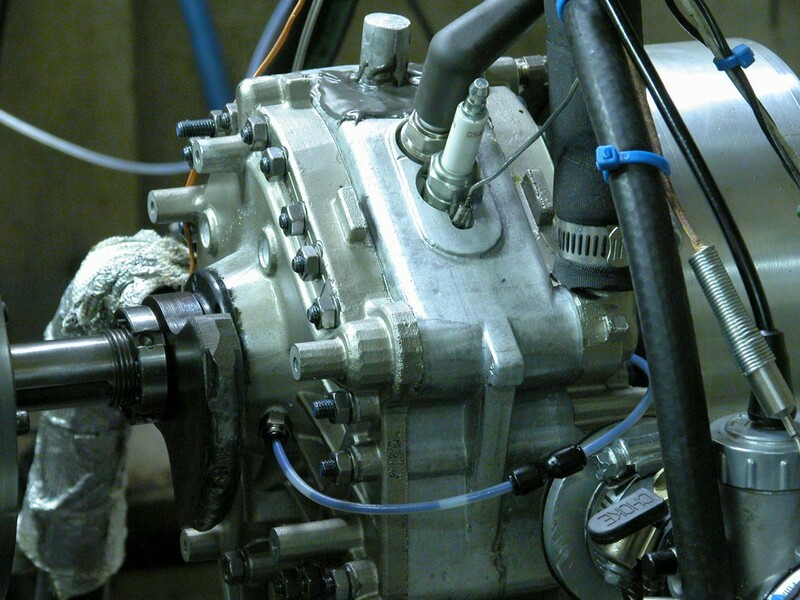 Our "normal" range at near maximum HP is .56 and around .5 at 4500 RPM and ~40 HP from our single-rotor 530cc engine. If the engine is producing 50 HP, the fuel consumption is .56 pounds per 50 HP per hour, or 28 pounds per hour. Gasoline weight approximately 6 pounds per gallon, so consumption is about 4.5 gallons per hour. If you think in metric units, there are 3.79 liters per US gallon. Therefore fuel consumption of the Rotapower® engine producing 50 HP is estimated to be 17.25 liters per hour. We use 86 Octane "regular" gasoline for all applications. At what RPM does the Rotapower® idle? What is the torque at that speed? Suggested startup and idle speed is 1,000 RPM. The Rotapower® engine provides modest low-end torque starting with approximately ~40 ft-lbs at 2,000 RPM and peaking at over 50 ft-lbs at around 3,000 RPM and continuing above 40 ft-lbs until well above 6,000 RPM. Do you make a smaller, lower horsepower engine? Our single-rotor, 530cc, four-stroke Rotapower® engine is being redesigned to optimize the rotor down to a 450cc displacement. It will still provide 35-to-50 HP but with a narrower rotor and configurable in single or multi-rotor from 1 to 6 rotors with outputs from 35 HP to 400 HP possible. Production of this engine is anticipated to begin in mid-2011. We have also built and tested an 18.5 HP Rotapower® 150cc engine, with single rotor and a 300cc twin-rotor configuration planned for production within the next 12 months. 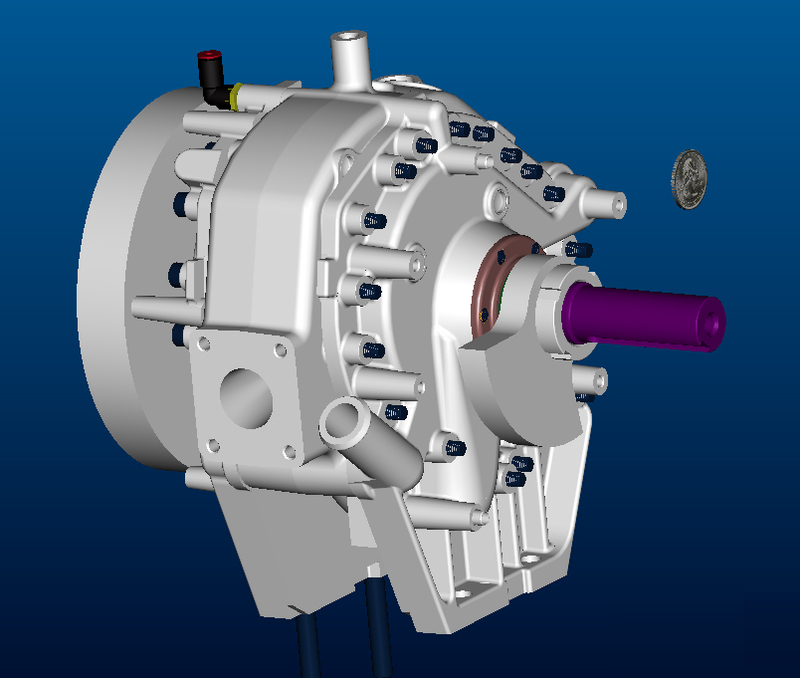 Output of the twin rotor configuration is between 25 and 30 HP, depending on rpm and porting. 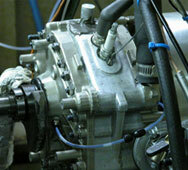 We also have designed, built and tested a 27cc displacement, 2.5 HP air-cooled rotary engine. This engine is ideal for portable power tools and equipment, although it would need to be made in very high volume to be cost competitive with other engines in its market segment. We have no immediate plans to produce this engine in volume. I see you have used diesel fuel in a Rotapower® engine. Did you have to change the compression ratio to run on diesel? Can you tell me more about that effort? Our basic Rotapower® engine has been operated on diesel fuel but at a compression ratio of 9 to 1 a glow-plug is required to be used at all times. We are testing a compound version of our Rotapower® engine where the compression ratio is raised over 15 to 1, which will eliminate the need for continous use of a glow-plug and will significantly increase the engine efficiency. I see that you have tried many different types of fuels. Can you run on propane? Yes we can run on propane. 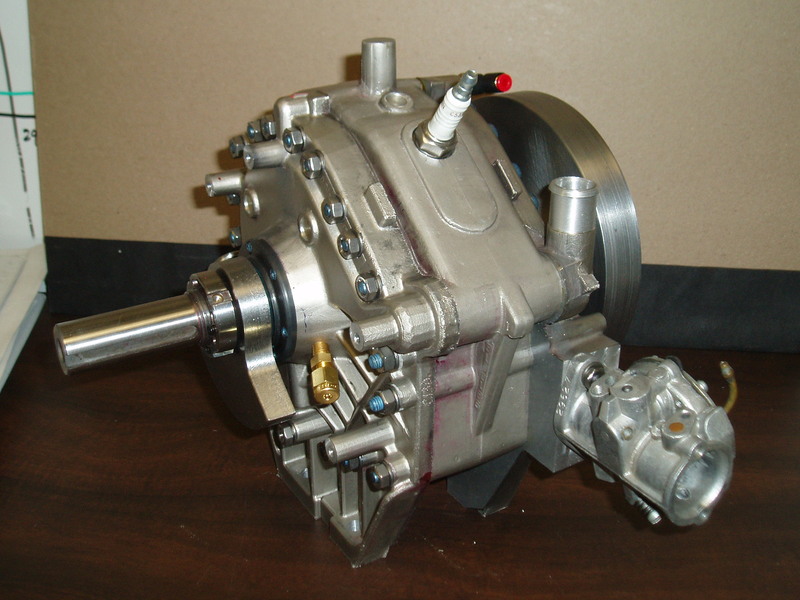 The Wankel engine looks pretty simple. 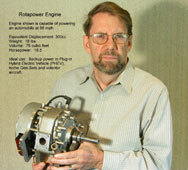 Could I get the plans from you to build my own Rotapower® engine? The manufacture of our engine requires quite a few very specialized tools and processes. The unusual shape of the trochoid housing's surface (sort of peanut-shaped) is nearly impossible to build without a CNC mill, and the side seal grooves are so thin and deep that they also take a special tool. In addition, once created the wear surfaces require plasma spray coatings to withstand the extreme operating conditions. With all of these requirements, it is a difficult engine to build in small quantities. And that assumes you start with reasonably good castings, which are also a challenge to get in small quantities. Peripheral ported rotary engines have typically been very noisy. Is that the case with the Rotapower® engine? The engine exhaust is loud, and needs a reasonably sized muffler. We have used a combination of two mufflers with good success. First the 530cc four stroke needs a tuning length of 20" of 1 1/2" stainless steel pipe then the primary muffler. As an extra measure you can add a secondary muffler (like a SuperTrapp) at the end. Can I run the Rotapower® engine on different fuels, and switch easily between fuel types? Fuel systems are specific to the fuel type used, specifically the fuel pressure, fuel injector and pulse width of the injection. It is possible to adjust for very similar fuels like alcohol and gasoline by adjusting the pulse width electronically from the dash. Natural gas will require a different injector but could probably use the same controller. Diesel will require its own system. The target price of $2,300 for the 530cc Rotapower® engine seems very reasonable. How is it that you can provide this engine at this price? Typically, engines capable of producing 40 HP and higher have been considerably more expensive than our target price for the 530 series Rotapower® engines. Using state-of-the-art manufacturing and exploiting the simple and effective Wankel concept, we hope to keep volume pricing well below the traditional market price for engines in the horsepower range. Can you combine more than 4 rotors in a Rotapower® configuration? Yes. 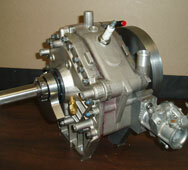 A six rotor version is possible with the same assemblies. 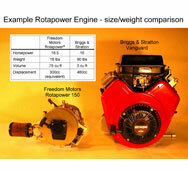 Can I run the Rotapower® engine at 1800 RPM continuously? 1800 RPM is problematic. Our "charged cooled rotor" design requires the incoming fuel-air mix to cool the rotor. Open throttle settings do this fine, but running at a reduce setting for a prolonged period might generate excessive heat. We are developing a stratified charge version of our engine which would make this possible. I want to take power directly off the crankshaft to drive a jet-pump. 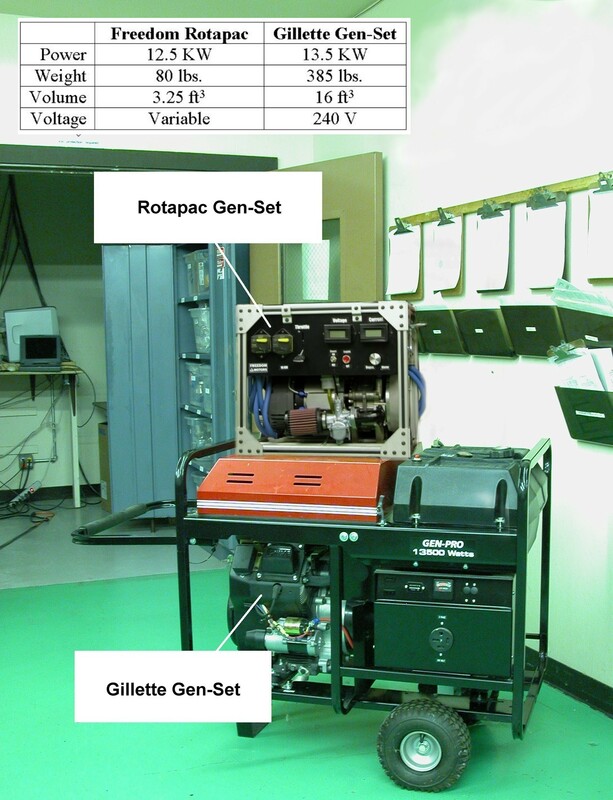 What provisions have you made for power couplings on the Rotapower® engine? 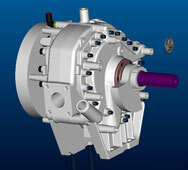 We've adapted the Rotapower's® crankshaft to several different types of pumps with no problems. The issue comes down to one of impeller size, which is something of an art. 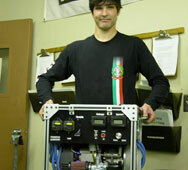 We calculate the theoretical size required and then "tune" to the closest available production unit available. I need a light weight engine that produces in excess of 200 HP as a replacement engine in my ski boat. Can the Rotapower® engine be used in this application? To obtain the HP you require, plan on a four-rotor and lots of room for the exhaust system. You'll need a minimum of 20" of 1 1/2" stainless pipe before the system sees water. Running exhaust to a collector pipe (like automotive headers) and then out is fine. Also the cooling system should be coupled a water-to-water heat exchanger to eliminate the possibility of corrosion in the water jacket passageways of the engine housing. Where is the Rotapower® engine built? Is it a US-made product? We have built beta test models in Davis California. We currently farm out some of the machine work, but much of it (70%) is done in house with specialized equipment (grinders, honers, CNC mills, and side-seal cutters). We are in the process of acquiring a joint venture partner to produce our engines in high volume. Tell me about Freedom Motors. How did you get started? What is your relationship with Moller International? Freedom Motors is a privately held company with 7.1 million shares being held by approximately 550 investors. Freedom Motors was started by Moller International as a result of their requirement for a high power-to-weight engine for the Skycar. Moller International granted an exclusive license to Freedom Motors to manufacture the Rotapower® engines for all applications except in aviation and ducted fans. Moller International retained rights to those two categories. 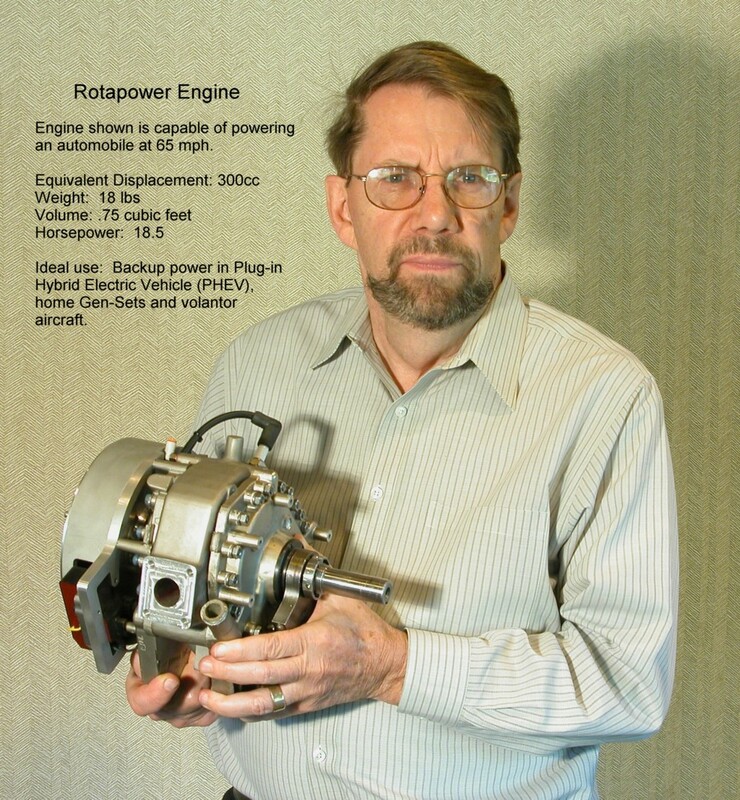 Did you develop the Rotapower® engine from scratch? No, our engine is based upon the Outboard Marine Corporation's design (Johnson Outboards) of the mid 1970's. We bought the rights the engine, tooling and have a relationship with many of the firms designers. Since we purchased it, we have improved fuel economy, cooling, HP output and emissions. We presently have a number of patents on our improvements. The design is based on the Wankel engine, just as the Mazda engine is, but shares very little else with the Japanese engine..
Tell me about the emissions characteristics of the Rotapower® engine. Our engine design is very emissions efficient. We tested a jet ski equipped with our engine at the California Air Resources Board test center in Long Beach and it achieved results which established qualifications as an Ultra Low Emissions vehicle. Certainly, other four-stroke engines have achieved the same, but normally require very complex valve-timing and catalytic converters. Our design does not. I really like what Freedom Motors is doing, and want to come work for you. How do I get appropriate experience with rotary engines? There are very few "rotor-heads" and every enthusiast is welcome. I suggest you use your passion to learn to repair and rebuild Mazda engines, like many of our team have done. This will give you a good understanding of the technology, plus a very practical "hobby" rebuilding engines for one of the most popular (and economic) sports cars ever built. I think your product looks great. Could you please send me a catalog? We don't really have a catalog at this point. Our products are described by the specification sheet found under the "Latest News" section of the Freedom Motors web site. The Rotapower® looks like a perfect engine for the emission conscience personal watercraft enthusiast. When and where can I buy a PWC with your engine? We are preparing to pur our Rotapower® into production with a joint venture partner. This joint operation planned to establish volume production by late 2009. Why don't we see your Rotapower® engine in boats today? Putting a new type of engine into volume production is a long and expensive process. However only through high volume production can the engine costs be reduced to a level that makes the engine cost effective for everyone. Your Rotapower® engine looks like it would be a good replacement for my Mazda “13B” engine. Can I bolt one of these into my car? How much would you charge me today for one of these engines? The Rotapower® engine is not a direct substitute for the Mazda 13B engine. 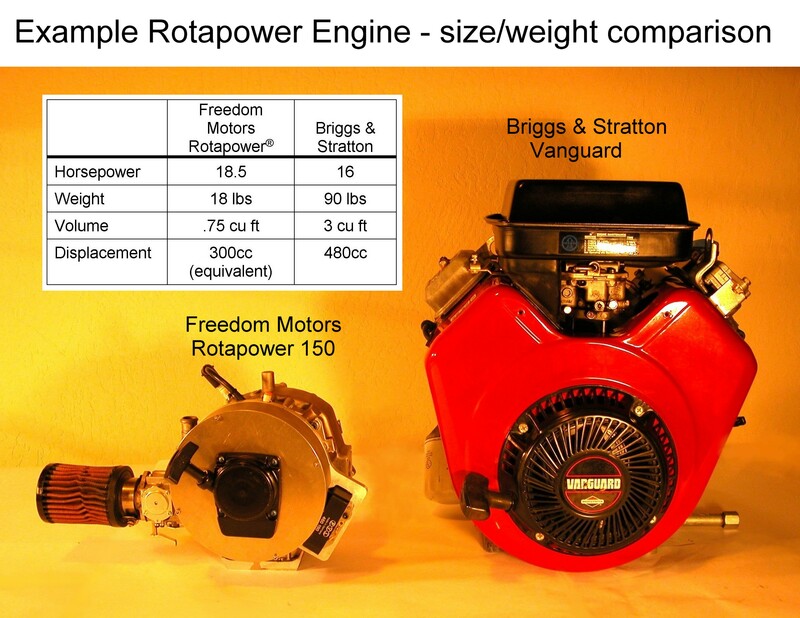 At some point in the future we hope to offer our Rotapower® engines in various configurations to boat yards and other marine repair facilities, but at this time we are nearing the end of our Engine Test Program, where selected companies were invited to integrate the Rotapower® engine into their products and we got feedback, which we incorporated, into the design. We plan to have production facilities operational soon. The Rotapower's® rotor housing (trochoid) is aluminum. Is the trochoid's interior surface coated? Yes, the production version of the engine is plasma spray coated with a chromium carbide. We have also looked at new types of coatings, including an aluminum oxide “ceramic” type finish. The aluminum oxide is a proprietary formula and deposited by electrochemical process. This oxide surface has a friction coefficient approximately 1/3 of chromium carbide. What type of seal material do you use? Apex seals are a tool steel that is hardened. What type of fuel injection system is used ? Injection in the intake system with conventional Bosch-type throttle body injectors at approximately 70 psig. Control is through a Motec CPU for fuel injection and timing. How is the lubrication provided? We use a mechanical pump injecting into the roller bearings. This is a patented process developed by us whereby oil is metered to the main bearings, moves to rotor bearing, the side seals, and finally to apex seals. No injection into the air stream a la Mazda. What can you tell me about the charge-cooled rotor design? We use a proprietary process (patented) in which incoming fuel/air is used to cool the rotor. Our patent allows us to double the horsepower output without over-heating rotor bearing. What about the rotor bearing? Any improvements in this area since you acquired the design from Outboard Marine Corporation (OMC)? The rotor bearing has somewhat higher load rating in the Rotapower® engine, but main improvement is adequate cooling. How do you provide a variable overlap between exhaust and intake? We use a technique similar to OMC, where a value opens or closes the peripheral port while the side port stays open at all times. How can you expect an increase in power by adding water to diesel fuel? Adding water results in further cooling of the charge and hence the rotor. The addition of water to diesel, gasoline or alcohol primarily benefits the engine by increasing volumetric efficiency by 20 to 25%. In the case of diesel, water also reduces the tendency to detonate and significantly lowers NOX emissions. California is making an 80% diesel 20% water fuel available at commercial filling stations. What applications are best suited to a diesel-fueled Rotapower® engine solution? Diesel fuel applications works best in APU applications where it is tuned to run at a constant speed under nearly constant load. 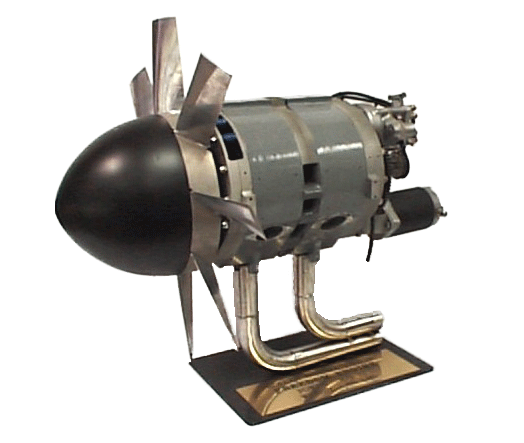 The high intake charge and rotor surface temperatures have historically resulted in detonation. How does the Rotapower's® design safely avoid preignition? The combustion dynamics of the rotary engine (plume burning rather than volume burning) allow much higher intake temperatures (up to 250 degrees F) without pre-ignition. The choice of spark plug is sometimes a critical element of engine design. Is that the case with the Rotapower® engine as well? We, like OMC, use a surface gap plug to minimize blow-by at the spark plug hole. We see no difference between 10mm and 14mm plugs so leakage effects must be small. 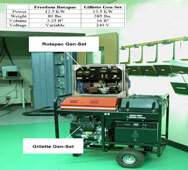 Is it possible to run the Rotapower® Engine on HHO gas ("Brown gas")? Yes. This is an ideal gas to use in a rotary engine and can increase the combustion efficiency by 50% to 75% by speeding up the combustion process. From all tests now performed it seems to burn better than even pure hydrogen due to the other components. Please fill out the following form for submitting a new question to Freedom Motors. We will reply with an answer, and potentially include your question in our FAQ list. If you find any errors in the FAQ list above, kindly use this form to let us know.